I read this book as part of The Top 10 Best Fiction of Young Adults for the Hub Challenge and I finished in 2 days. Sierra Santiago's voice, personality, spirit grabbed me from page 1- she is from Brooklyn, a muralist, and she is noticing the murals around Bed-Stuy are changing, get less distinct, and she even sees one tear drop out of a person's eye on the mural! What is up? Daniel Jose Older has written a book that is diverse, funny, magical, mystical, and urban - from Sierra's family, friends and community- the reader is treated to a book that tells a story about a teen protagonist you will not soon forget. Not only do we have Sierra's world of painting and friends but the reader is treated to magic, evil monsters, shadowshaping, and a girl who will stop at nothing to figure it all out. Highly recommended! 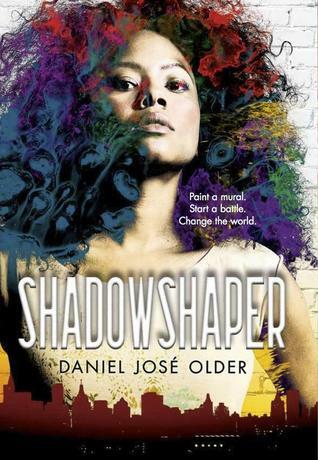 Sign into Goodreads to see if any of your friends have read Shadowshaper.